Sapphire Sky | God is Great! What did Jesus say about Anxiety? It is the epidemic of our day. It affects men and women, the young and the old, the rich and the poor. Workers worry about their job. Parents worry about their children. Children worry about the future. Worry can cause sickness, depression, and broken relationships. In its severe forms, worry can cause panic attacks or require medication. It is personally difficult for me to write a blog post about worry. I would never want to present myself as someone who has no anxiety and has it all figured out. I am benefiting no one if I only come up with “pat answers” that never address real problems. I have close friends who have struggled greatly with worry and anxiety. Some have been frozen by panic and others have needed medication to manage stress. I have personally experienced the struggle with depression and anxiety for the last several years. I am not here to offer some glib retort about how I am so much better than everyone else. But Jesus himself taught about worry, and not in sensitive and reassuring terms. Three times He repeats the command, “Don’t be anxious!” This is not a comforting pat on the back, this is a direct command for those who are worrying – stop it! Stop worrying about your food and where it will come from! Stop worrying about your clothes and what you look like to others! Stop worrying about the necessities of life! There are very few of us who are so destitute that we have no food to eat and literally no clothes to wear. But we have our own anxieties that we all worry about. Will I pass this test? Can I provide for my family? How will I pay the bills? Will my children be safe? Is my sickness serious? Jesus uses examples from nature in the Sermon on the Mount to address the issue of anxiety. For both of these examples, he reiterates same two lessons: First, remember that God is our father and he will take care of us! Second, we are disobeying God when we don’t trust him! What did Jesus say about Valuables? Anyone who is old enough to remember the 1990’s remembers the Beanie Baby craze. The popular toys were small stuffed animals of different kinds and styles. Each Beanie Baby came with its own special name on a heavily protected tag. New styles were released and retired, causing an investment frenzy. Investors predicted that the rarest styles would be worth thousands in only a few years. Some people lost fortunes when the market crashed. Now, Beanie Babies are worth no more than a few cents at a local yard sale. It is hard to talk about money. The very mention of money causes our mind to follow familiar mental paths: How much do I have? How can I get more? Why does someone else have more than me? Why does someone else have less than me? What can I spend? What should I save? It is even harder to talk about money when studying the Bible. We have all heard about greedy preachers who used God’s word as a way to make themselves rich. But there are also preachers who have the opposite problem, who refuse to talk about money for fear of offending their listeners. But Jesus teaches about money, and He is neither greedy nor apologetic. When He addressed this subject during the Sermon on the Mount, he taught about more than money, he taught about treasures. Your treasure is more than the size of your bank account, your income, or your investments. Jesus does not mention numbers at all! Instead, the issue is what is important to you? Once again, it is about your treasure. How secure are your valuables? Where do you spend your life? What is important to you? What do you look for in life? Do you lose sight of Jesus Christ? How important is the dollar? What rules you? What did Jesus say about Prayer? It was late in 1944, during World War II, that the allied troops were pushing their way back through Europe toward Germany. Their efforts were delayed by winter storms, much to the anger of the commander, General George S. Patton. In one of his famous moments, the frustrated general summoned an army chaplain and ordered him to produce a prayer for good weather. The chaplain finally wrote the prayer and it was distributed to the troops. The weather immediately cleared and Patton gave the chaplain a medal (see here for details). In that story, General Patton’s brashness is almost comical. But if we look at ourselves, that is often what we think about prayer. We live our lives. We bow our heads in church, and perhaps before meals. But we don’t seriously consider prayer until life stops working and we need help from a higher power. The classic picture of Jesus praying in the garden (see here). Even outside of Christianity, many world religions have incorporated prayer as part of their rites. There are the Buddhist prayer wheels, the Hindu mantras, the Muslim prayer beads, and the Jewish Wailing Wall. Even the Catholic Church has candles and the rosary. It matters most that you pray, not necessarily to whom you are praying. Prayer is for the weak. You pray as a last resort. Those who pray in public are putting on a religious show. You need to say a lot of prayers before God will listen to you. Don’t expect any real answer from God. How many of these thoughts about prayer are true? What does Jesus say about prayer? What did Jesus say about Good Deeds? In his novel, David Copperfield, Charles Dickens describes a man who was a perpetual actor. James Steerforth was wealthy, articulate, handsome, and cheerful to everyone he met. But he secretly used his good looks and charm in order manipulate everyone around him. People were only valuable to him for what he could get out of them. In the story, Steerforth ended in complete disaster. When we look at the New Testament, the Greek word for actor is hypokritēs (ὑποκριτής). The actors in the ancient Greek world would cover their faces with masks, intended to express the feelings and the attitudes of their characters. But far beyond the direct definition, hypokritēs was also used to describe a person who would go through life as an actor, pretending to like what was popular and not showing their real self. This term for an actor quickly became known in religious circles as one who only pretended to be devout, yet had no real commitment. We know these actors today by the same word: hypocrites. Jesus describes hypocrites in His Sermon on the Mount when teaching about good deeds. 15 It is disturbing to read through His warnings about hypocrites. They are not overtly terrible — rather, when we look closely, they can look a lot like us! Using common examples in in righteous living, Jesus shows how easy it is for us to forget about our good deeds, and to start thinking about ourselves. But when our goal is to build up ourselves in front of others, or to look extra good or spiritual, then something is wrong. God will not reward us for putting on a religious show. Instead, we show ourselves to be hypocrites. Jesus uses three examples of upright living. These are three activities that we should be doing in our lives, that will either bring us closer to God when done right, or reduce us to worthless hypocrites when done as a show for others. What did Jesus say about Revenge? I like to watch hockey. Where else can you see people crash into each other at high speeds, regularly, repeatedly, for over an hour every night? And all for the goal to get this tiny, heavy puck into the other team’s net. One of the tactics of the game is to antagonize the other players. Players use verbal insults, badgering, legal and illegal hits to get their opponents to focus on them instead of the game. When you get your rival angry enough to think about fighting you instead of playing their game, you have a much better chance of winning. But the same thing happens at every game. The final period ends. The clock runs out and everyone goes home. It is just a game. In real life, though, it is too easy to get caught up in revenge. When we are insulted, hurt, or otherwise offended, our first thought is to fight back. We need to “get even” for what they did to us. And the conflict always escalates. You hit them once, they hit you back twice. They hit your arm, you hit their face. We see this on the road every day. One driver is too slow so another driver cuts them off. A small driving mishap can quickly turn into a deadly “road rage” incident. We assure ourselves that we would never go as far as what we hear about in the news. We could never do the horrible deeds committed by these road warriors! But at our core, we are all like that. We all want revenge when someone hurts us. We all want to see our enemies suffer. In His famous Sermon on the Mount, Jesus has been teaching about the law. He did not come to do away with the law. Instead, He has been using illustrations to show that we should hold to a much higher standard than what has been written down (see here). Now, His final two examples are about revenge and how to treat our enemies. These are some of the easiest words to remember, but some of the hardest commands to obey. But what was Jesus saying? Was He teaching that, like Ghandi, we should use passive resistance? Should we be pacifists? Abandon the police force? Should we (as many people do) simply ignore what He says? Jesus teaches that, when confronted by persecution, we need to surrender our rights and to love our enemies. What did Jesus say about Honesty? Should you always be honest about everything? We all know about little “white lies”, when a small lie seems harmless and the actual truth may not be well received. Jesus takes time in the middle of His great sermon to talk about honesty. Jesus has been teaching about the law in the Sermon on the Mount. He showed that God’s law is not simply a list of do’s and don’ts, it is a relationship with Him (see here). He then uses a series of examples to show that there is a much higher standard than the written law if we are to be His followers, and part of His kingdom. He starts with the example of murder. You cannot say you are a good person, simply because you never murdered anyone. Even hatred, anger, and broken relationships leave you guilty before God (see here). The next example is adultery. It is not just the physical act of adultery, but any lustful thought leaves you guilty before God (see here). Jesus follows the example of adultery with the example of divorce. Marriage is holy and honorable before God. It is not to broken by unfaithfulness, nor by divorce. Simple legal proceedings do not entitle you to separate from your spouse, and any such actions leave you guilty of both your own and your spouse’s unfaithfulness (see here). Jesus then uses the next example to warn His listeners about taking an oath. At a first glance, this is not the example that we would expect to follow. Jesus has been talking about serious issues: murder, adultery, divorce, … now oaths? How can this be as serious as the others? But taken from another perspective, Jesus is not teaching about rituals but about our character. He is not giving new rules to govern murder but He is teaching that we must show forgiveness. He is not giving new rules to govern adultery but He is teaching that we must show purity. He is not giving new rules to govern marriage but He is teaching that we must show faithfulness. And finally, He is not giving new rules to govern how to give oaths but He is teaching that we must show honesty. What did Jesus say about Marriage and Divorce? There is a lot of talk about marriage in the church. It is a constant subject in pulpits, books, blogs, and social media. Everyone has an opinion about marriage — from philosophers, to musicians, to politicians, to movie stars. Unfortunately, the church is often guilty of making things worse. We thunder at the evils of this world, whether it be a new celebrity scandal or the latest political attack from homosexual activists. We are quick to attack the broken world, yet we ignore the broken people that we pass by every day. In the church, we are glad to lift up a happy, wholesome marriage, but we are too quick to shove them aside when problems arise. When a marriage starts to disintegrate into separation and divorce, we tend to fall to one of the two extremes: we either gloss over the issue, ignoring real problems, or we pronounce judgement on the victims, isolating them when they need us the most. What does Jesus say about marriage? What does He say about divorce? How can we apply His commands in our broken world today? What did Jesus say about purity? In Jesus’ day, people thought they were good because they kept the Ten Commandments. They did not worship any idols. They showed respect to God’s name. They honored the Sabbath day. They honored their parents. They did not commit murder. They did not commit adultery. They thought they were pretty good! But Jesus showed them that they did not understand the law. They could never keep the law because they did not understand that it is all about a relationship with God (see here)! In His first example, Jesus showed them that the law was more than just about murder. Even hatred and bitter anger will also leave you separated from God (see here). To put it into today’s terms, you are guilty before God if you have an affair with another husband or wife. But you are just as guilty when you have the longing gaze, or when you indulge your thoughts about desiring someone else. You are just as guilty as the “home wrecker” who is involved in the affair. This warning does not matter if you are married or single. Although Jesus’ audience at that time were men, the warning is for both men and women. This warning includes the movies and television you watch, the books you read, the music you listen to, your trips to the beach, and, of course, your time on the internet. Do you stop your mind from wandering when it heads toward a forbidden place? What is the remedy? What did Jesus say about anger? How many times do we deal with anger each day? We yell at other drivers on the road when they cut us off or slow us down. We may put on a casual face when insulted at work or school, but we are boiling inside. But often the results of anger can be much more serious. Our words and our actions can leave a trail of devastation and broken relationships if we do not control our temper. Anger can blindside us. I was once at a gathering when a friend had had too much to drink, and then proceeded to tell everyone that I was a liar and was always trying to insult them. How can you not get angry when you are accused without a cause? Sometimes we can cause conflicts, even when we try to do our best. Several years ago, I started such a conflict when I confronted a close friend about a problem. He responded by not speaking to me for several months. His wife even called my family, saying that I was such a terrible person. How can you keep from getting angry when your best intentions get thrown back at you? Especially when people attack those who are close to you? These are only minor examples of the conflicts that we often encounter through life. What do you say to those who have suffered deep hurt — even tragedy or abuse — at the hands of others? What does Jesus say about our response? Don’t we have a right to be angry? Or are we supposed to paste on a happy face? Jesus does talk about anger, but with an answer that is as startling today as when He first taught it! What did Jesus say about the Law? Do we need to follow rules in order for God to accept us? If not, do the rules matter at all? Didn’t Jesus fight back against the rules and traditions of His day? If the rules are important, which ones are most important? What happens to those who disobey? It is popular today for people to think of Jesus as a rebel, going against the religious establishment. He is often pictured as fighting against the religious leaders and standing His ground against the ruling Romans. Even in Jesus’ day, people expected that He was against the Law. He did not show respect for the religious leaders, nor their large set of traditions. Surely he must be trying to turn people from the Law, wasn’t he? It is important to remember that Jesus preached the Sermon on the Mount to His disciples (see here). Jesus started by showing that being a true disciple is the way to true blessings and happiness (see here). He then began to teach about the Law, and what it means to keep the rules in God’s sight. If we honestly answer this question for ourselves, we often expect to find happiness at the end of our pursuits. The businessman expects to find it at the next promotion or closed deal. The athlete looks for it after the next win. The concerned parents look for happiness in their “successful” children. The romantics look for happiness in the man or woman of their dreams. We find temporary happiness at the top of the mountain that we are climbing. But like the old song about the bear that went over the mountain, all we really see is another mountain. The happiness of success, of reaching your goals is temporary. Common descriptions of a happy person today would include adjectives such as: smart, successful, wealthy, winning, powerful, proud, self-reliant, trouble-free, and able to get everything he wants. The descriptions of a happy person in the first century would be very similar. The Greeks valued the wise and the educated. The Romans valued the powerful and the ruthless. The Jews valued the devout and the pious. But Jesus gave a completely different view of the happy person. The happy person was not the powerful, the successful, the educated, nor the pious one. The happy person was low enough to enter God’s kingdom. Jesus used a word for “happy” which has a much deeper meaning than the fleeting good feelings that we may have. The true happiness gives you joy and hope, even through terrible circumstances. This word is often translated as “joyful” or “blessed”. The happy person is not the wealthy or the wise one, but the one who recognizes that they have nothing that they can give to God! When you come to God, you don’t start on your knees, you start by crawling on the ground! It is only when you realize that you are totally destitute that you can come to Him. Happy are those who recognize their absolute, total need for Him, for these are the ones who are in His kingdom! The happy person is not the one who is laughing, but the one who is mourning. We have nothing to offer God, and our very nature is to rebel against Him and disobey Him. The truly happy person is the one who is brought to grief over his failure to please God, for he will be comforted. It is when you mourn over your disobedience that you can come to God for forgiveness, and He will comfort you. The happy person is not the assertive and the proud, but the one who is humble and restrains himself. It is the one who responds with humility — even when pushed around — that is part of God’s kingdom. The meek and the humble are looked down upon in our culture, but these are the ones who will rule over the earth. The happy person is not the one who is content, but the one who is starving for justice and an upright life. The members of God’s kingdom earnestly desire to see right done in the world. Those who need to see righteousness like this will be brought to God Himself — the true source of everything right and good in the world! The happy person is not the one who is served, but the one who helps others who are in need. The members of God’s kingdom will show kindness to those in need, even when they are getting what they deserve. For it is those who are showing mercy who realize how much mercy God has given to us! We were the destitute, the mourning, and the humbled! The happy person is not the one who follows after life’s pleasures, but the one who pursues God’s glory. This is the one who keeps his heart pure and set apart for God. God shows mercy to those who have come to Him in humility and grief, and he cleanses their hearts and makes them pure. These are the ones who can truly know God! The happy person is not the winner, but the one who negotiates peace. This is the one who works through interpersonal conflicts in order to bring unity among others. But this is also the one who goes to the lost ones who have rebelled against God, and shows them that they need to repent and turn to Him. The peacemakers are the ones who work for peace between others, and peace with God. When we negotiate peace, we are representing God Himself as His sons. Not simply children of God, but sons of God, bearing His image and authority. “Blessed are those who are persecuted for righteousness’ sake, for theirs is the kingdom of heaven. Blessed are you when others revile you and persecute you and utter all kinds of evil against you falsely on my account. Rejoice and be glad, for your reward is great in heaven, for so they persecuted the prophets who were before you. Finally, the happy person is not the one who is free from trouble, but the one who is harassed for the sake of Jesus Christ. We identify that we are part of the kingdom of heaven when we are persecuted and harassed for His sake. We are also in great company, including all of the great prophets of old, and we will have a great reward in heaven! This is the key to ultimate happiness. We will go through poverty, mourning, humility, and persecution, but we have the ultimate joy of knowing that we will be with Jesus Christ in His kingdom! Matthew’s gospel account tells how Jesus traveled throughout the region — preaching, teaching, and working miracles (see here). As His fame grew, people came to Him from across Galilee and the surrounding regions. But Jesus’ message was the same: Repent, for the kingdom of heaven is at hand (Matthew 4:17). Jesus had travelled throughout the countryside, preaching that the kingdom is at hand. He now took his disciples aside and laid out what it means to be a citizen of the kingdom. Thus begins the first of many great discourses in Matthew’s gospel account. It is also one of the longest recorded sermons in Scripture, covering three chapters in Matthew (Matthew 5-7, with parallels in Luke 6:17-49). This teaching by Jesus contains some of the most well known parts of all scripture, and some of His most beloved quotes. Because of the location where Jesus taught, it has been traditionally known as the “Sermon on the Mount”. Many parts of the Sermon on the Mount are well known in our culture, even by those who have never read the Bible. It opens with the famous series of beatitudes, where Jesus taught about the blessings of those who follow Him, even though they are poor, hungry, and weeping. Jesus urged his followers to be salt and light to the outside world, and He set a much higher standard than was ever given in the Old Testament law. He criticized religious hypocrisy and indifference, showing that it is meaningless to give God what is no value to you, and the danger of being religious only for the praise of other people. He showed that the treasure in heaven is much more valuable and permanent than anything you can gain here on earth. He taught how to properly judge others, being mindful of your own failures. Yet He also gave comfort for when we doubt if God is caring about us, or when we doubt if He is watching over for us. We are reminded that we are much more valuable in God’s sight than all of the intricate design of His own creation! And finally, He warned His listeners to not only hear Him, but to also do what He says. The one who hears His words and follows them is the wise man who built his house upon a rock, but the one who ignores His teaching is the foolish man who built his house upon the sand, and everything he has will be destroyed. The Scripture says that when Jesus was finished, all the people were astonished at the way he spoke. English translation does not put that strongly enough. They were stunned! They were flabbergasted! It was very common for the rabbis of Jesus’ day to stand up and give lectures. They would call upon the authority of a great rabbi from years before, who would call upon the authority of their previous rabbis. But Jesus did not quote the authority of previous teachers, he relied on His own authority. In Matthew 5, He repeats the saying, “you have heard it said … but I say …“ (Matthew 5:17-48). He was not conforming or enhancing the current Jewish system of religion. He was following the law, but making it completely different, bringing it into something new. First, Jesus was speaking to his disciples, who have already repented and trusted in Him. The disciples were already following Him, but needed instructions for how to live as citizens of His kingdom. Therefore, it would be wrong to view the Sermon on the Mount as the entrance requirements for how to get into God’s kingdom. This would also contradict other Scripture, which clearly states that we are saved by grace, not by good works (Romans 4:5, Titus 3:4-7, Ephesians 2:8-9). We do not follow God’s law to become His children, we follow God’s law because we are His children! Also, instead of discarding the Old Testament law, Jesus raised its expectations up to a higher level. It is popular today to believe that Jesus came to put aside any type of law keeping. But Jesus did not come to take away the law of Moses, He came to fulfill the law. In this sermon, Jesus showed that the letter of the law is not nearly as important as the spirit of the law. You may pride yourself on never committing murder or adultery, but you are just as guilty if you harbor hatred or lustful thoughts. Previous post: What is the Kingdom of Heaven? The thoughts of kings and kingdoms are foreign to our 21st-century mindset. The very mention of them brings to mind fairy tales and medieval legends. Our view of a kingdom is romanticized and very separated from our day-to-day life. But in the ancient world, the king was supreme. His word was absolute and uncontested. The citizens would thrive under a good king or chafe under a bad king, who would rule until his death or defeat (by a more powerful king). When God established the nation of Israel and called them to be His own people, He set up a government where God Himself would rule as their perfect king (see Exodus-Deuteronomy). But the people rejected God’s rule and demanded a king of their own (1 Samuel 8:4-9). Throughout the rest of Old Testament History, the fortunes of God’s people rose and fell based on the character of their kings. But God had greater plans for His people. Every book of the Old Testament promised that a great king would come. He would save mankind from the curse of sin, and lead Israel in a victorious, perfect kingdom. He was the Promised One, the Anointed One, or in Hebrew, The Messiah (see here). The Old Testament prophets also wrote about His kingdom. Daniel saw the empires of mankind destroyed by the kingdom of God that would never end (Daniel 2:44, 7:27, see here). Isaiah saw the kingdom of God as a kingdom of peace and safety, where the wolf would dwell with the lamb (Isaiah 11). This kingdom of God was a real promise that Jews anticipated. As they were dominated by the world empires — Babylon, Persia, Greece, and Rome — they looked forward to the day when their Messiah would come and free them, restoring peace to the world. When John the Baptist came announcing that the kingdom of heaven was at hand, the people came by the thousands. They were ready to be free! Jesus followed John with the same message: the kingdom of heaven was at hand1. But Jesus never came with military force. He never drove out the Romans, nor did He oppose any conquering army. He had no political power. Yet Jesus spent most of His ministry teaching about His kingdom. So what is His kingdom? What is the kingdom of heaven? What does it mean to be like Jesus? How can we be imitators of Jesus Christ? Matthew 4 tells the beginning of Jesus Christ‘s ministry on earth. 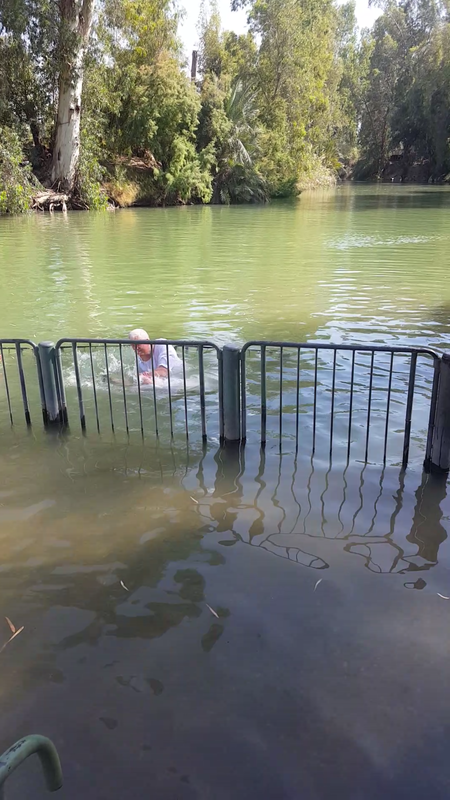 He had been waiting for 30 years, until he learned that John was baptizing in the Jordan River. He then came to be baptized, launching His three and a half year ministry (see here). In a dramatic showing, the Holy Spirit descended on him after His baptism and God the Father audibly accepted Jesus as His son. Jesus was then taken immediately by the Holy Spirit after His baptism. He was brought to the wilderness where, after an extended fast, He was severely tempted by the devil (see here). Jesus started his ministry with a challenge from the enemy. Now, almost a year has passed. John’s Gospel accounts tells us about this year that followed the temptation, when Jesus had stayed in the south country of Judea, gathering disciples (see John 1-4) . It was there that He met Andrew, Peter, John, Phillip, and the Nathanael (see here). It was also during this time that He threw out the corrupt businessmen from the temple (see here), and shortly afterward had a lengthy discussion with one of the top teachers of Israel, Nicodemus (see here). Jesus also had taken a brief visit to Galilee during that year. John’s gospel account tells of how He came up to Cana for a wedding feast, and where he performed His first miracle (see here). It was also during this visit to Galilee that Jesus relocated his family from his hometown of Nazareth to the town of Capernaum, by the sea of Galilee (John 2:12). It was about a year since Jesus‘ baptism when John the Baptist was arrested by Herod Antipas. John had been preaching in the North (Galilee) while Jesus was was in the South (Judea, John 3:22-24). Yet, when Jesus heard the news that John was arrested he knew that the time has come for him to head north. The opposition was mounting against Him and the time was growing short. Jesus’ message was the same as John – repent, for the kingdom of heaven is at hand. The king was here, and He was getting ready to set up his kingdom. It was now time to prepare yourself for the kingdom, starting with getting right with God! He also gathered followers as he went through Galilee. He had already known Peter, Andrew, James, and John from His time in Judea, but he now called them to leave their professions and follow him, “Follow me and I will make you fishers of men”. When they heard Him, they left their fishing and immediately followed Him. Many pastors have preached on this passage, “Follow me and I will make you fishers of men“. It is a well-known quote from the gospels and it is often applied toward missions or evangelism. I have heard one popular pastor use this passage as a launching point to explain why we need to strategize and determine how to reach the world with the gospel. This is a good sentiment and is true to Scripture. However, that is not what Jesus is saying here. He gave a command and the promise. The promise is that Jesus will do the making. He will make us into fishers of men. It is not a job that we take on upon ourselves. What is our job? Our job is to follow Him. That was Jesus’ command to Peter, to the other disciples, and therefore to all of us who believe in Him. We are to follow Him! The last scene in the four gospels is when Jesus appeared again, to Peter, on the shores of the Sea of Galilee. Jesus had risen from the dead and had come to restore and commission His broken disciples. His final message to Peter was the same as at the beginning, “Follow me!“ (See here). What does it mean to follow Jesus Christ? Just like the disciples of old, we spend our time with Him, and hang out with Him. Jesus Christ consumes our thoughts and our focus. He becomes our role model. We cannot imitate Jesus’ every action on earth, so that cannot be what it means to follow him. We cannot heal the sick like Jesus did. We cannot raise the dead. We better not say that we are God, and I trust that we will never have the opportunity to be crucified! But this passage in Matthew shows us how we are to follow Jesus Christ. Jesus was full of the Holy Spirit as he went to his temptation (Luke 4:1). Luke again highlights the fact that Jesus returned in the power of the Spirit to Galilee (Luke 4:14). This is the key to Jesus‘ ministry, and this is how we are to follow him. We need to rely on the Holy Spirit in the same way that Jesus did. He is to direct our every move, so that we work through His power. John was in prison but the need was as great as ever. This land of Galilee was historically dark because the people of that region had turned away from God, and were terribly abused by conquering nations. Isaiah predicted that “the people who walked in darkness have seen a great light” (Isaiah 9:1-2). The persecuted, wicked people of Galilee would have the first light of the Messiah — He would bring them truth and life. Isaiah lived over 700 years before Jesus Christ. But the people was just as dark in the time of Jesus. The people were consumed by their self-seeking ways and needed to turn back to God. We also need to be a light to the darkness. Matthew says that Jesus went out preaching the good news about the kingdom. Our message about the kingdom may be different from Jesus (we are not the king, nor are we preaching the message of an imminent physical kingdom), but we need to be a light in darkness, bringing the good news about Jesus Christ to those who do not know Him. Jesus called his disciples to come and follow Him. He promised that He would make them fishers of men. We need to call others to Jesus, but we also need to remember that we are fishers of men. The first four disciples — Andrew, Peter, James, and John — all lived different lives and had radically different ministries, yet God uses each of them to being people to Him. We need to follow Him. He does the transforming. Jesus went throughout the land of Galilee, teaching in the synagogues, preaching the message of the kingdom, and healing many. His fame became so great that people from the surrounding areas all came to see Him. Even the people from Judea, whom He had left to return to Galilee, followed Him north! We will not have a ministry like Jesus, but this example shows what can happen when we are led by the Holy Spirit. God will more than fill up what we leave behind! As a final thought, it would be good to remember what happened to the first four fishers of men. Jesus had called each of them, and promised that He would use them. Andrew is the most noted for bringing others to meet Jesus. He first brought his brother Peter to see Him (John 1:40-41, see here). Andrew was the one to bring the boy to Jesus when He fed the 5,000 (John 6:8-9, see here), and the Greeks went through Andrew when they wanted to see Jesus in Jerusalem (John 12:20-22, see here). Church tradition holds that Andrew traveled north to preach the gospel in what is now eastern Europe and Russia. Peter was typical example that we think of when we hear of the term, “fisher of men”. We see him leading the church in Acts, and preaching to thousands (Acts 2:38-41). Jesus predicted that Peter would die a martyr’s death and tradition says that he was crucified upside-down by the Romans. James was always known in the gospels as accompanying his brother John, through the good and the bad. James was the first Apostle to be killed, being murdered by Herod Agrippa I in Acts 12:1-2. John was the disciple who lived the longest. He referred to himself in the fourth gospel as “The disciples whom Jesus loved” (e.g. John 13:23). His only claim to fame was that Jesus chose to love him. John was the writer of five books of the New Testament, including the fourth gospel and the final book of the Bible, Revelation. These were four disciples with for different lives and four different ministries. Jesus does not tell us how we will become fishers of men, he only says that we are to follow him. Wouldn’t it be great if we could stop doing things wrong? If our lives were perfect and we never disobeyed God? Unfortunately, it does not take long to find out that that is not the case. Even when we belong to God, we still doubt Him and try to get what we want without Him. We still challenge God, asking Him to meet our agenda, as if we are more important than the God of the universe! We still look for shortcuts to meet our needs, ignoring God’s plan. Life is a never-ending battle with temptation. And sadly, we often lose. The Bible opens with Adam and Eve, the first man and woman, falling to temptation. They disobeyed God’s law, and the entire world descended into chaos (see here). David, the greatest king over Israel, is well known for his fall into temptation. It only took a short walk on the roof with his wandering eyes, and we next find out that he was guilty of adultery, murder, and lies to cover up his actions (see here). But there are also notable victories over temptation. Joseph chose to run away naked when his master’s wife tried to seduce him (see here). Daniel was taken away from his home, yet he chose to follow God and not get caught up in the idol worship of his peers (see here). But by far, the greatest example of victory over temptation was Jesus Christ Himself. Jesus had just finished an incredible start to His ministry. He was baptized by John the Baptist, the greatest prophet in history! The Holy Spirit came visibly down upon Him, and God the Father Himself spoke from heaven to announce the Son of God! But then the Holy Spirit took him immediately into the desert. Jesus was there for 40 days with the burning sun and the barren rocks, and with absolutely no food to eat. But He was not alone. Satan dogged His every step, trying to get Him to turn away from God. Do not love the world or the things in the world. If anyone loves the world, the love of the Father is not in him. For all that is in the world— the desires of the flesh and the desires of the eyes and pride of life —is not from the Father but is from the world. And the world is passing away along with its desires, but whoever does the will of God abides forever. The desires of the flesh — what makes us feel better? The desires of the eyes — what looks good to us? The pride of life — what gives us importance? There in the desert, he used all three of these weapons against Jesus Christ. First, he challenged Jesus personally. Jesus had not eaten for 40 days and was very hungry and physically weak. But He was the Son of God — why not do a miracle to feed Himself? This temptation was akin to the desires of the flesh — suggesting that Jesus answer His own needs for hunger. Jesus responded by quoting scripture back to Satan. Deuteronomy 8:3 says that, “Man shall not live by bread alone, but by every word that comes from the mouth of God.” We need to depend on God, not only for our food, but for our very existence! Satan’s next attack was at Jesus’ role as the Messiah, the King of the Jews. He took Jesus to the rooftop of the temple overlooking the steep valley below. Satan himself then quoted scripture (Psalm 91:11-12), showing that God would never let the Son of God get injured. Instead, Jesus would descend safely down to the worshippers below, and be hailed as their king. This temptation was akin to the pride of life — Satan was attempting to get Jesus to turn away from God and seek glory on His own. Jesus had defeated Satan in the first temptation by totally trusting in God. This time, Satan used His trust in God to try and get Him to force a miracle. Jesus responded again with a quote from Deuteronomy, this time Deuteronomy 6:16, “You shall not put the Lord your God to the test”. We trust totally on God for our needs as we do His will. But we are testing God when we create a crisis of our own design and then demand that God get us out. Satan was not easily overcome. He next took Jesus to a high mountain for a final challenge. Showing Jesus all of the kingdoms of the world, he offered them to Him. All Jesus needed to do was to bow down to Satan — once! This temptation was akin to the desires of the eyes — he was trying to tempt Jesus by what looked good to Him. Satan offered Jesus a shortcut to glory. No longer would He need the three-plus years of ministry, concluded by the suffering on the cross. He could have the worship of the entire world immediately! This is also the boldest of Satan’s temptations. He no longer couched his suggestions with “since your are the Son of God…” Now, he directly insisted that Jesus bow down to him. Jesus’ response to Satan was decisive and direct. He quoted Deuteronomy 6:10, “You shall worship the Lord your God, and him only shall you serve.’”It was wrong for Jesus to try and shortcut God’s plans, but it was especially wrong to ever bow down to Satan! Jesus also finally commands Satan to leave him, “Be gone, Satan! ” Satan then left Jesus for a more opportune time. Jesus was attacked in every way by Satan’s temptations, but he emerged victorious! Jesus never disobeyed God, and when challenged, he always answered His challenges with God’s word. What can Jesus’ example teach us about temptation? Temptation is a part of our life when we belong to Jesus Christ. The closer we get to Him, the more Satan will attempt to pull us back. But we need to anticipate the temptations, knowing that we can win. Defend yourself when you are weak, and be ready to answer back when temptation comes. Answer temptation with God’s Word! Jesus relied totally on God’s word when confronted by Satan. Immerse yourself in God’s word, keeping Him on your mind and heart for when the tempter comes. Jesus sent away Satan after the attack. We have the same promise that he will flee from us when we resist him. Note, however, that it is not enough to simply stand up against the devil. We need to first submit to God. We need to let God fill the place in our life that was formerly taken over by the devil. Jesus went through the same temptations as us, so He understands when we are tempted. We need to make it a habit to first come to God when temptation comes. Stay close to Him and ask Him for the grace and the strength to get through it. A few years ago, I had the privilege of traveling to the Jordan river and seeing the traditional site where Jesus was baptized. The river was actually very small in that area, but there were several markers to commemorate the spot. Shrines and churches filled the landscape, allowing people of all denominations to come and worship. Most of us have heard about the scene where Jesus came to the Jordan River to be baptized by John. There are pictures in children’s books and artist renderings, all seeking to capture the moment where God the Father spoke from heaven and the Holy Spirit descended upon Him. About 30 years have passed since the times when Jesus was born (Matthew 1), and when He was visited by the wise men (Matthew 2). Jesus’ relative, John the Baptist, was preaching in the wilderness that the kingdom of Heaven was at hand. Therefore, the people needed to repent, and to be baptized in order to show that they were part of this kingdom (see here). It was during this time that Jesus left his hometown of Nazareth, in Galilee, and came to the Jordan River in order to be baptized by John. John had been preaching that the King was coming, but when he came face-to-face with Jesus, he refused to baptize him. Jesus was greater than him, and John did not consider himself worthy to baptize him. John only consented when Jesus told him that it was necessary in order to “fulfill all righteousness”. What does this mean? Why did Jesus come to be baptized? Why was this necessary for Jesus, and for that matter, for John? These explanations contain excellent theology and have been put forth by some of the finest Bible teachers of our time. But they are all deficient for a number of reasons. First, they fail to explain why this was necessary for both Jesus and John, in order to for fill all righteousness. Why is John’s role important here? Second, these answers are all based on assumptions, not from the text itself. These assumptions are based on the explainers’ understanding of theology and how the ministry of Jesus Christ unfolded. None of these explanations are given by Matthew, Mark, nor Luke at the time of Jesus‘ baptism. Finally, these explanations are difficult to reconcile with Jesus being both fully God and fully man. Matthew 1 (see here) shows that Jesus was born fully human, and he was also fully God. We cannot fully comprehend how an infinite God can live within the confines of finite humanity, yet this was the life of Jesus Christ on earth. The gospel accounts of Matthew, Mark, Luke, and John all show this in Jesus’ life. He was holy God, and so he was unblemished by the sin that has plagued the human race. Yet he was a lowly human, so he could be the perfect sacrifice for the sins of mankind. Jesus lived with all of the authority and power of God himself. As it says in Colossians, “in him is all the fullness of God” (Colossians 1:19). Yet Jesus was also fully human. As it says in Philippians 2, he emptied himself, taking the form of a servant. Jesus Christ, the Almighty God, laid aside the voluntary use of his attributes, living fully in the form of finite mankind, relying totally upon the Holy Spirit. How could Jesus be both divine and human? This paradox is difficult to reconcile. Many theologians and Bible scholars have sought a simple explanation by emphasizing either His divinity or His humanity. There are those who have elevated Jesus’ humanity at the expense of His deity. Some have either minimized it or outright denied the fact that Jesus was God. They portray Him as a normal human going through daily life with the same weaknesses and failures as you and I. But to deny Jesus’ deity is to deny the words from the New Testament Gospels and the Epistles. The Gospel of John starts out with, “the Word was with God, and the word was God” (John 1:1). Jesus said about himself, “I and the Father are one” (John 10:30). Jesus also taught that he descended from heaven (John 3:13), and Jesus’ prayer in John 17 tells of His oneness with the Father (John 17:20-21). One of the most eloquent sections of the epistles that tell of the greatness of Jesus Christ is Colossians 1:15-20, where Jesus is above creation, the author of creation, the head of the church, and in Him is all of the essence of deity. Both His followers and His enemies recognized that Jesus said that He was God (Matthew 16:16-17, John 5:18). You cannot deny His deity. But others have focused on Jesus’ divinity, forgetting that he was also very much human. He was hungry, thirsty, tired, and he felt physical and emotional pain (e.g. Matthew 4:2, John 4:6-7, John 11:33-35). We see Him act with apparently limited knowledge, such as going to a barren fig tree when He was hungry (Matthew 21:18-19), or by leading his disciples to a quiet retreat, only to be surrounded by over 5,000 people who followed him from the city (Mark 6:30-44). The simplest explanation is that Jesus’ knowledge was limited while He was on earth. He had set aside His omniscience and was relying totally on the direction and empowering of the Holy Spirit. Jesus grew up in Nazareth, growing in both wisdom and stature (Luke 2:52). The best understanding of why Jesus came to John’s baptism was not because He was orchestrating all of the finer points of theology, but rather that he had submitted fully to God. God had led John to baptize and Jesus was prepared to follow everything that God had instituted. John preached about the kingdom of heaven and offered baptism to identify those who were ready to be part of this kingdom. Hence the reason to “fulfill all righteousness“, was that it was right for John to baptize Jesus. It was the right thing for them to do. Toward the end of his ministry, Jesus was challenged by the Jewish Priests who asked him by what authority He was teaching? Jesus answered them with a question of His own, “The baptism of John, was it from heaven or from man?“ (Matthew 21:23-27). The rhetorical answer was that John’s baptism was from heaven. After Jesus was baptized, His ministry showed the results of his baptism. It was the last act of His private life and the beginning of his public ministry. 1 Jesus was personally verified by God the Father. The Holy Spirit came to rest on Him, and would direct and empower Him for the rest of his life on earth. All of the theological facts pointed out above came about as a result of Jesus’ baptism. 2 He identified with believing sinners, He validated John’s ministry, and His ultimate sacrifice allowed any who believed in Him to become sons of God (John 1:12). The present Christian baptism does not identify with the baptism of John, but rather illustrates the death, burial, and resurrection of Jesus Christ. Jesus Christ is beyond our understanding! The scenes of history may be interesting, but let us not forget Jesus Christ Himself! He is the most important one! I remember many of my children’s books that I had when I was younger. There were colorful Bible Story books, showing scenes and characters from popular events. He lived in the desert! He dressed in camel hair (my picture books always showed him wearing some strange, hairy toga)! He always had a big beard (in all my picture books)! My Bible Story books showed people coming from far and wide to hear him. They would go into the desert to listen to this strange man preach. He would then lead them into the Jordan River where he would baptize them. As I grew older, I saw many movies which dramatized the life of this man in the desert. He was no longer just a picture in a book, but a live person walking through my TV screen. It seemed like all the movies depicted this person, John the Baptist, as a very angry man. He was always shouting at people, trying if he could to scare them into repentance. As we look at the Bible says, the picture of John the Baptist emerges as a very important man. Jesus would later describe John as the greatest man who ever lived (Matthew 11:11)! First, the king is coming! The long-awaited Messiah was about to be here! He would come and set up His kingdom on earth as the prophets foretold. Second, the people were not ready. They needed to repent! Finally, if their repentance was true, then they needed to come into the Jordan River with John. They would put their heads under the water and demonstrate to the world that they were now ready for the kingdom. What does it mean to repent? It is much more than simply being sorry for disobeying God. Repentance involves both the knowledge and the sorrow that you have violated the law of a Holy God. It then involves a conscious act to turn away from your disobedience and to turn to God. This was John’s message, but he had opposition. The religious leaders came to see why he was upsetting the status quo. John compared them to deadly snakes and urged them to flee from the fires of God’s judgement. These religious leaders were caught up in their own imaginations about what it meant to be right with God. They believed that they were safe from God’s judgement because of their family relations — they were descendants of Abraham! They also believed that God would look favorably on them because they worked so hard to keep the law. But John said that all of these things — the family connections, their own good deeds — they all were worthless to God. They needed to come back to Him. There was no longer any time for middle ground. You need to either repent and join the king, or be swept away in God’s wrath. The people were impressed by John, but he always deflected their praise (see also here). He was not the king, he was simply the announcer for the king. When the king comes, John did not consider himself worthy to wash his feet! If you have not turned to God, then the time is now! Repent and join Him! You may not have another chance! If you already belong to God but are not obeying Him, then you too need to repent. Don’t let this day go by before you get right with God! Don’t stop at the inward steps of repentance, but show it in your life. If you really have turned from your disobedience and turned to God, then there will be real, tangible changes in your life. Don’t let your pride or preconceptions stand in the way of getting right with God. Very few of the religious leaders believed John because they thought they knew better. Matthew’s second chapter continues his account of the promised King. Who was this king? Who is this person that Matthew was writing about? Matthew’s first chapter told of the heritage and birth of the new king. He has the heritage and the rights of the great dynasty of Israel, going back to King David himself. His birth was a miracle, born to a poor unmarried woman and her betrothed husband. But why should we care? Why should our modern world care about an ancient Jewish king? Because He is much more than that. He is not simply some distant story. He was God Himself, come to mankind! Matthew’s account is clear: He was born to a human mother among a human family. He was very much human (see here). But His father was God (see here, here, and here). Therefore he was also very much God. And He came for a purpose. Matthew stated His purpose in his first chapter, “you shall call his name Jesus, for he will save his people from their sins” (Matthew 1:21). He will save His people from their sins. He was the promised one that the Jews had been waiting for, their Messiah! But Matthew then showed that Jesus did not only come for the Jews. He was born to a Jewish family, but some of His first attendants were outsiders, or Gentiles. Jesus was still a young child — probably only a few months old — when He was visited by dignitaries from far away. These visitors, or Magi, had learned of the new king and come to worship Him. Even at the start, Jesus’ own people didn’t care for Him (see here). The religious leaders knew exactly where He would be. They even gave directions for the Magi but they never came. The king over the Jews saw Him as a threat. King Herod knew that this was the long-awaited Messiah, and he tried to kill him. At first he tried to use deception to find the baby. When that failed, he resorted to massacre. He sent his soldiers to murder all the young boys in Bethlehem! But it was these outsiders, the ones who should have never cared, who came to worship Jesus the Messiah. The Magi used their own resources to travel a long and dangerous road, carrying priceless gifts, unsure of the final destination. God had given them a glimpse of His glory, in the form of a bright light, in their home country of Babylon. That vision caused them to come to Jerusalem, seeking the new king of the Jews. They were then directed to the nearby village of Bethlehem, where they again encountered God’s light. They found the new king and worshipped Him, giving their gifts. The Magi knew very little about God, but they followed what they knew. They didn’t know His location but they came gladly to worship! You don’t need a Jewish heritage to worship Jesus Christ. You only need to follow Him. God does not look for those who are especially powerful, religious or smart. The educated priests ignored Jesus Christ and the powerful king wanted to kill Him! God will protect His own! He directed Joseph to take Jesus and Mary away to Egypt when Herod wanted to kill him, and then back to Israel when it was safe to return. If you were to tell the story of a great king, what would you tell about his beginning? Most stories have the king born amidst splendor, with the great people of his day. Others may tell a great “rags to riches” story, how the great king emerged from such a humble start. But for the King of Kings, the truth is greater than any fiction that we could imagine! Jesus Christ Himself came to earth, born of a poor village girl, in the middle of a terrible scandal. His mother, Mary, became pregnant out of wedlock. She had had no relations with a man — there was no human father. The baby was a miracle from God Himself. Mary was away for several months, visiting her cousin Elizabeth. She returned to her conservative, religious small town of Nazareth, showing that she was obviously pregnant. Nobody believed her. Her own husband didn’t believe her. She was betrothed to Joseph, anticipating the great celebration where they would fulfill the ceremony and become man and wife. But all Joseph could see was that his wife was unfaithful to him. He cared enough for Mary to not make a public scene, but he could never marry her after what she had done. He opted for a quiet divorce. This was the beginning of the life of the King of Kings. Born to a scandalized mother and a heartbroken father. But Matthew’s account is not about Mary, nor is it really about Joseph. This was about the work of the Holy Spirit. The Holy Spirit created the embryo in Mary’s womb. He also sent an angel to direct Joseph. There were things that Joseph needed to know about the child, and things Joseph needed to do. Joseph needed to complete the marriage. Mary was not unfaithful and she was his wife. The child was the work of the Holy Spirit. God was directly intervening with mankind, and the result was the baby who was growing in Mary’s womb. Joseph was to name the child Jesus, meaning, “Jehovah is Savior”. This baby has a special purpose. He will save his people from their sins. He will be the long awaited Messiah! Matthew shared the beginning of the life of Jesus Christ on earth, showing a sharp contrast between what the world sees as opposed to but God sees. The world saw Mary as an adulteress, who had a baby without a husband. God saw her as a pure woman who was willing to follow and obey Him regardless of the cost (see here). The world saw Joseph as a poor carpenter who was either complicit or the cause of Mary’s adultery. God saw him as a man willing to follow Him in protecting and caring for the young Messiah. The world saw Jesus as an illegitimate child. God knew that he was a miracle of the Holy Spirit, and the One who would be the Saviour of the world. The apostle Paul said in his letter to the Corinthians that the wisdom of God is seen as foolish to the world, yet the wisdom of the world is foolishness with God. It is so easy to see ourselves and others as what the world sees us. We need to look at people the way God sees them. Finally, we should never go to Matthew’s gospel account without being challenged to renew our appreciation for Jesus Christ. He is the King of Kings; He is the long awaited Messiah to the Jews; He is the one who will save the world from the curse of sin! The New Testament opens with a message for the Jewish people. It is a message that they will not accept, given by one of the most hated people. The Romans in the first century relied upon a hierarchy of publicani, or tax gatherers, in order to collect taxes for the empire. Local merchants would pay for the privilege to collect from their countrymen. These local tax gatherers would often add on a large percentage of taxes for themselves, thus becoming both very wealthy and very hated by the local people. The tax gatherers were considered the worst of society. They were often used in the gospels to illustrate bad people, with the synonymous term, “tax gatherers and sinners” (e.g. Matthew 9:11, Mark 2:16). Matthew (also known as Levi) was such a tax gatherer who left his business to follow Jesus (see the passages here). Matthew turned from his old life to become one of Jesus’ twelve apostles (see here). Matthew’s message to the Jewish people is that Jesus is the Messiah. He is the long-awaited king who has come to save His people (see here). Matthew’s gospel account begins by showing that Jesus deserves the title of king. Jesus is the descendent of David and heir to the throne over all Israel. The first part of Matthew’s gospel account traces Jesus’ family tree back to Abraham. This family tree dates back for 2,000 years and includes many heroes of Old Testament history, including Abraham, Isaac, Jacob, David, Solomon, and many of the kings of Judah. This list includes some of the greatest men to have ever lived. This list included some very evil men. Rehoboam was the foolish king who divided his father’s kingdom. Manasseh was so wicked and violent that God promised to remove the kingdom because of him. Jeconiah was cursed to never have a descendent to sit on the throne of Israel (see Jeremiah 22:30). This list included scandals. Judah fathered Perez because his daughter-in-law disguised herself as a prostitute. David took Bathsheba as wife after adultery and murder. Jehoshaphat married his son Jehoram to the daughter of Ahab and Jezebel, setting up two generations of family murder and intrigue. This list included foreigners and women. Rahab was the Canaanite prostitute who rescued the Israelite spies and turned to follow their God. Ruth was the Moabite widow who chose to remain faithful to her destitute mother-in-law. The list ends with Joseph, who would be the legal guardian of Jesus the Messiah. What is the point of this history lesson? Is it simply a chance to reflect on history, with perhaps a chance to walk down memory lane? God can use broken people! If God was able to use broken people in past, He is just as able to use you and me, despite our failures. God’s plan is not broken by evil people! The bloodline of Jesus Christ was never broken! Even when Jehoram was murdering his brothers and Athaliah was murdering her grandchildren, God’s plan never failed. Even when Manasseh was searching Jerusalem so that he could murder anyone who was faithful to God, His plan never failed. Even when the Babylonian army was burning the temple and taking the people into exile, God’s plan was never broken. If God’s plan never failed through the worst of ancient history, He is fully able to keep his plans today, despite anyone who rises to oppose Him. Jesus is the king, not only over ancient Israel, but over the world today. He has all authority over heaven and earth (Matthew 28:18). Jesus still has just as much authority today as He did 2,000 years ago. We can know that, through all of our uncertainties, He is still king! Previous post: Who is Jesus?